With one in five Americans now carrying medical debt, it seems that patients are finally taking matters into their own hands. The rise of high-deductible employer insurance plans have caused millions to experience "sticker-shock" when they finally receive their bill for treatment. Now, an increasing number of resources are available for patients to better prepare for these costs, and they are being used much more frequently. In the past, when patients asked their providers for an estimate on the cost of care, they would be given the answer that the cost is not certain until the insurance carrier processes the claim. While this is true to some extent, it is possible to gain an estimate by looking at the experience of previous patients, a service that many carriers are now offering. The Star-Telegram offered the example of Mike Kohl, a strategic account executive for UnitedHealthcare in Plano. Kohl has been working on UnitedHealthcare's MyHealthCostEstimator. This portal is a tool for subscribers to compare the costs of certain treatments at different facilities. Kohl recently used MyHealthCostEstimator as a patient himself, after his provider told him he needed an MRI. "The doctor wanted me to go across the street to get it done, but I decided I should use the technology I was working on myself, so I called up United's MyHealthCostEstimator," Kohl told the Star Telegram. "The first provider was going to cost me $1,200 for an MRI, but I found one closer to my house that would do it for $378. I asked my doctor and he didn't care because the data was the same. I saved myself $822 with two to three minutes of work." 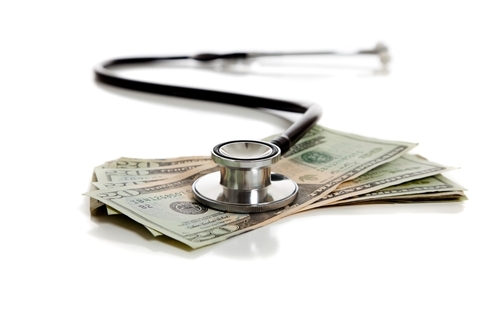 So far, Blue Cross Blue Shield and UnitedHealthcare have offered their patients a means of comparing costs online. This service benefits accounts receivable management professionals by making patients better prepared for the cost of their care, helping to avoid issues of bad debt.